Contact us via phone and email during your 60 days of free technical support! Use Maptitude postcode mapping software and start seeing better maps and better results – Now! 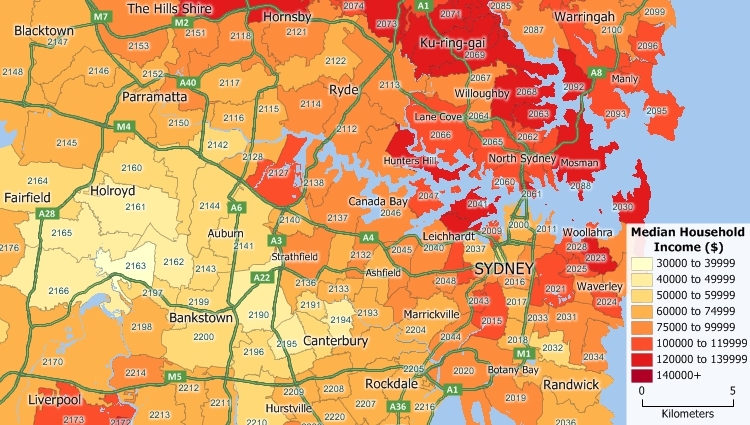 Maptitude Australia postcode map software includes nationwide postcode boundaries and demographic data. 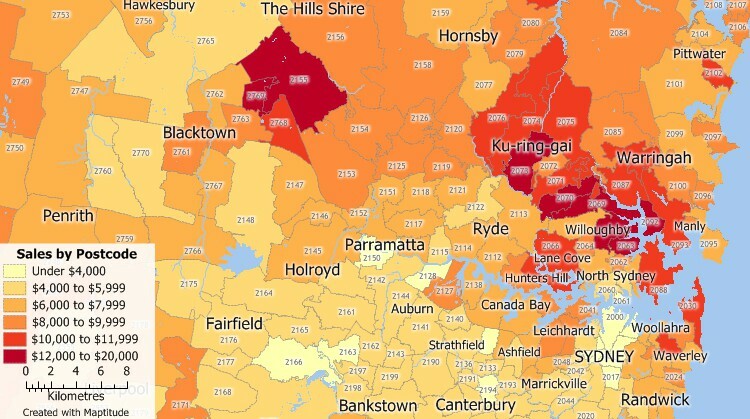 Maptitude Australia postcode mapping software lets you see your data attached to postcodes. √ Maptitude includes free mapping data and demographics (where available) covering everything from population statistics to business locations, postal/ZIP Codes, and more! Maptitude is competitively priced and enables organisations and businesses to use their location-based data to improve decision making. Why spend more for less?